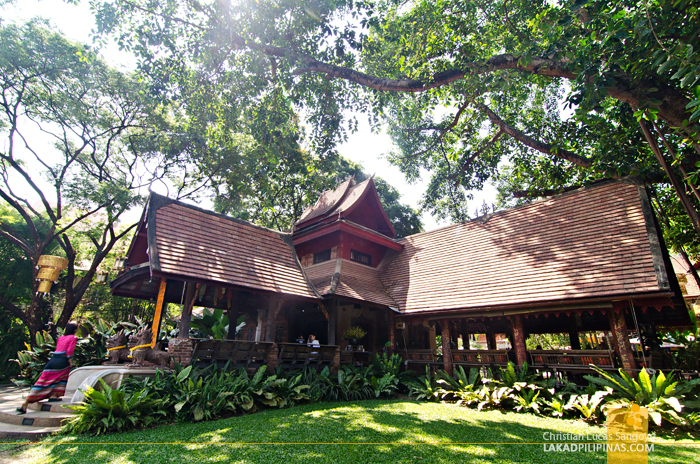 A huge rubber tree, the oldest in Chiang Mai, gently swayed with the morning breeze us as we sleepy wended our way to the al fresco restaurant for breakfast. Yesterday, we spent the latter half of our day traveling from the artsy town of Pai back to Chiang Mai. We arrived at our resort of choice later than we really wanted to and immediately fell asleep. It was only now that we were seeing how gorgeous Yaang Come Village was. I love how strategically located Yaang Come is. 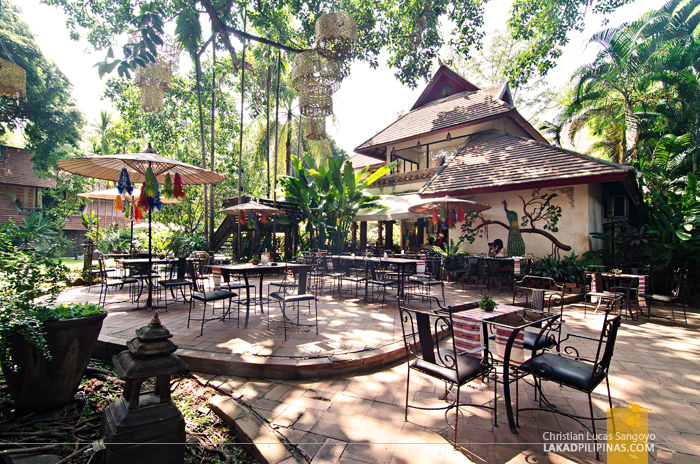 It’s about ten minutes away from the airport and a hundred meters away from Sridonchai Road where Chiang Mai’s Night Bazaar is found. Chiang Mai’s Walled City also is a short ride away, but we usually just walk there from the resort. 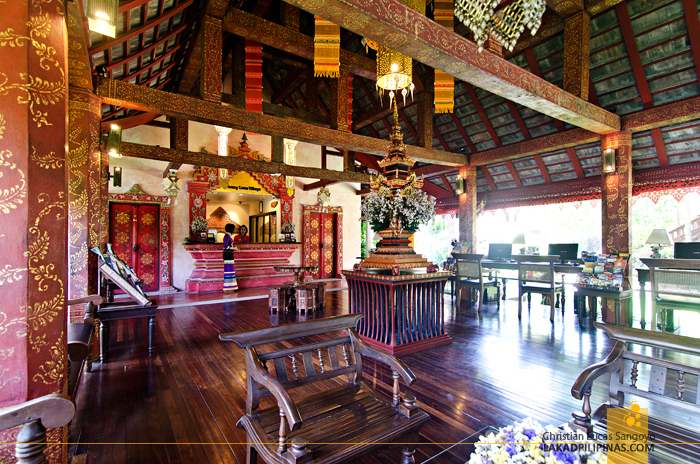 Our room was set on the first floor of a handsome two-story structure within the compound of the Yaang Come (Yaang means Indian rubber tree, by the way, and Come, is golden). The lady who showed us around told us that these structures are replicas of Tai Lue architecture from the people of China’s Yunnan Province. The owner found them to be so beautiful that that he imported the design to Thailand. 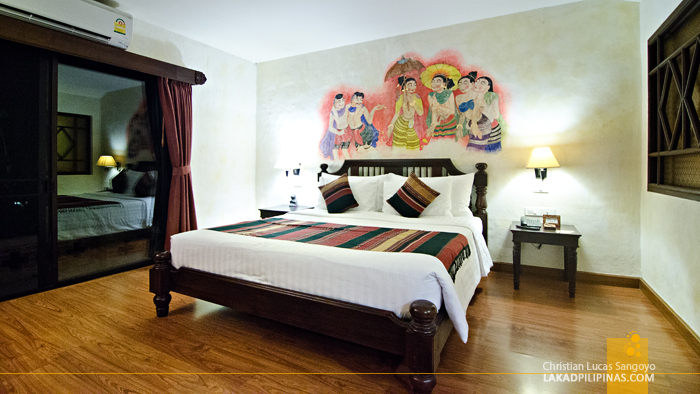 Inside our room, colorful and amusing hand-painted murals depicting village life of the Tai Lues brighten up our wall. 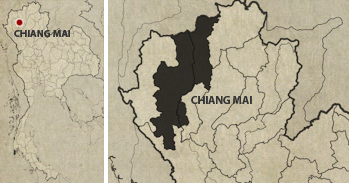 I later found out that there are actually Tai Lue people living on the northern parts of Thailand, especially in the Chiang Rai area. Apparently, some of them moved here when parts of China were bombed during the Second World War. We checked in at their most affordable room, the Superior (check rates and availability), and was happily surprised at its spaciousness. 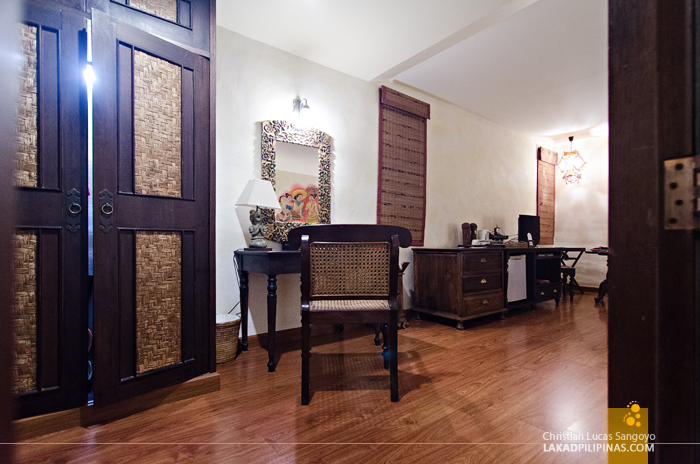 Decorated with vintage wooden furniture, it has all the usual amenities one can expect from a four-star resort; air-conditioning, flatscreen cable television with DVD player, mini-fridge, electronic safety deposit box and a working table. Wi-Fi was fast and free of charge too. Not to be outdone, their toilet and bath was also very spacious. It may not be as elegant as the main room, but it gets the job done pretty well. 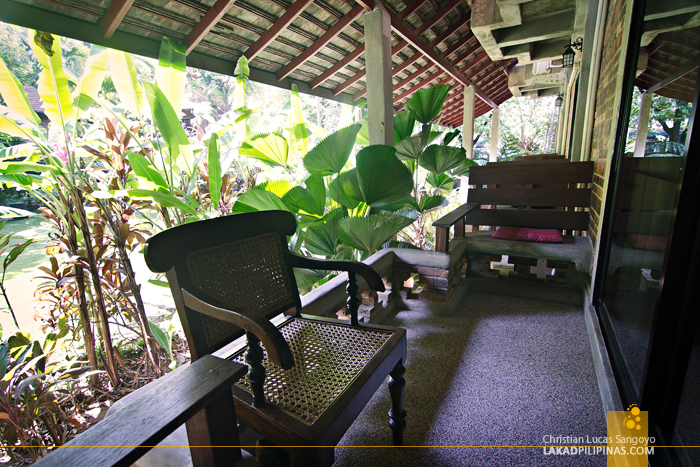 I love the fact that all of the rooms at Yaang Come Village has its own balcony with built-in seats. During our two-night stay at Chiang Mai, we’d usually spend our evenings here, drinking Red Horse beer we bought cheaply from a convenience store nearby. Yes, they do have Red Horse in Thailand. It does get a bit mosquito-ish at night, but we solved that by asking for mosquito coils from the lobby. 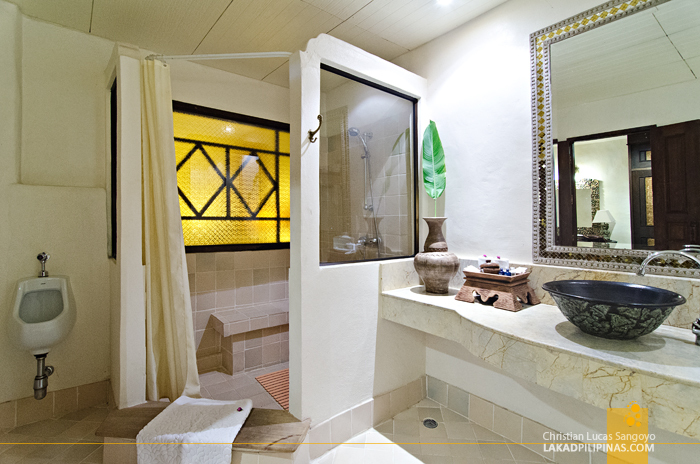 Mornings, we’d head over to their restaurant for the complimentary breakfast buffet. It’s not exactly Viking’s in terms of quality and selection, but it wasn’t that bad. I heard one western gal asking for bacons the next morning, I echoed her request. 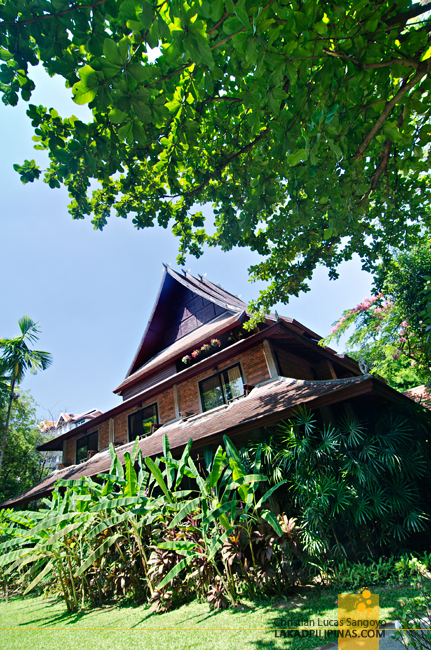 BEATING CHIANG MAI’S SUMMER HEAT! Yaang Come Village’s pool usually came in next. 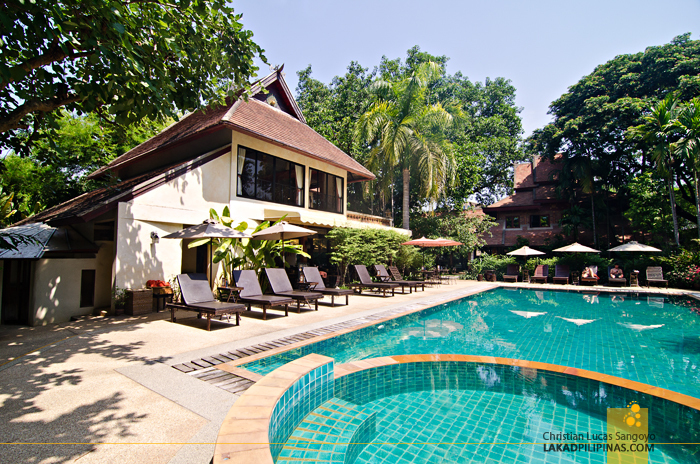 Burping from an overload of unlimited Thai breakfast, we’d head over the nearby pool, enticed to wade and swim a bit before exploring Chiang Mai. It was the perfect remedy for the searing summer heat of Thailand.